At the start of 2015, it looked like every startup would skate on an endless upward trajectory. The label of “unicorn“meant to denote a startup valued at over $1 billionstarted getting tossed around so often that it seemed like people were just gluing horns onto the heads of horses. While the likes of Uber and Snapchat continue to rack up valuations that make even the richest companies blush, 2015 wasn’t the year of endless profits; it was the year of dead money. Tons of startups that looked like sure things, ones that took millions of dollars from people willing to bet on their success, found the well went dry before the ball dropped for 2016. If Silicon Valley’s bubble ever bursts, these companies may be viewed as the canaries in the coal mine. This is what $500 million worth of venture capital bought you in 2015. Do you know who’s fault it is that Quirky failed? Yours. Sure, the crowdsourcing platform for inventions had major investments from big names likeAndreessen Horowitzand raised capital from GE, plus had partnerships withMattelandPepsiCo. And yes, it burned through money like crazy while failing to figure out how to keep production costs low and fumbled delivery so badly that UPS was the third-largest creditor in its bankruptcy filing. But if you would have just come up with one good idea and posted it on Quirky, the company might still be up and running. Never mind that it’s one of the biggest startups to declare bankruptcy; this is squarely on you. Rdio is the answer to the question, “How many streaming services are too many?” It was the nice enough service that rounded up a small but loyal share of the market and actually went of its way to try to cultivate a following. And yet, things just didn’t work out. Despite an extensive music library, tons of strategic partnerships, and a paid subscription tier cheaper than any of its competitors, Rdio had to call it quits in November. If you spend more than a few minutes thinking about Homejoy, you might start to wonder how the idea had any legs in the first place. You invite a stranger into your home, banking on the vetting ability of a Silicon Valley startup (if you’re familiar with Uber’s history with this, you know it’s not exactly a good bet), and assuming the service you’re booking them through treats the cleaner well enough to motivate them to do a good job. In the end, Homejoy fell victim to the same fate that has challenged every on-demand startup: Its contractors decided they’d like to be treated like people. Four lawsuits over the rights of workers were four too many for the cleaning company to overcome, so Homejoy shut down in the summer. It was one mess that just couldn’t be cleaned up. When Secret shut down in the spring, the company founder and CEO David Byttow presented the decision like it was a crisis of conscience; the app ceased to represent the vision with which it was created and instead of letting it continue to stray from the original mission, it was best to close up shop. Here’s the thing, though: Secret wasn’t really built with a strong moral compass in the first place. The entire draw of the app was giving people a place to gossip about others without consequence. The app shut down because it started hemorrhaging users ,and it’s hard to generate gossip when no one is listening. The fox logo is still pretty cute, though. While the flashy startups get the headlines, it’s the boring ones that are supposed to be the safe bets. Nebula sold data center hardware for deploying open-source cloud software, which is about as boring as you can get. That’s a thing that as an investor, you give money to just so you don’t have to listen to another word of the pitch and risk being put to sleep. Turns out you have to be more than just boring to be successful. Uber and Lyft are the names that matter in ridesharing, but Sidecar was right alongside them when the trend all started. It fought some of the same regulatory battles that the big guys dealt with, but it’s not coming out of those fights aliveprobably because it didn’t have the intimidating multibillion dollar valuation behind its name. Solar power! Robots! Technology! Those are all exciting buzzwords on their own. Put them together and you should have a sure-fire success. QBotix developed a novel way to use robots to tilt solar panels in a way that would allow them to follow the sun and soak up more energy. But considering how cost prohibitive standard solar panels can be for many people, adding in a robotic system just wasn’t in the cards. Instead of following the sun, QBotix had to just walk off into the sunset. In February, Shopa scored $11 million in investments. By August, the company closed because the money was gone. Designed to be something like a Pinterest with an affiliate marketing twist, the shopping social network promised to reward users for getting their friends to buy things. That concept apparently didn’t apply to Shopa’s investors, who thought they were buying part of a promising startup but got a whole lot of nothing instead. 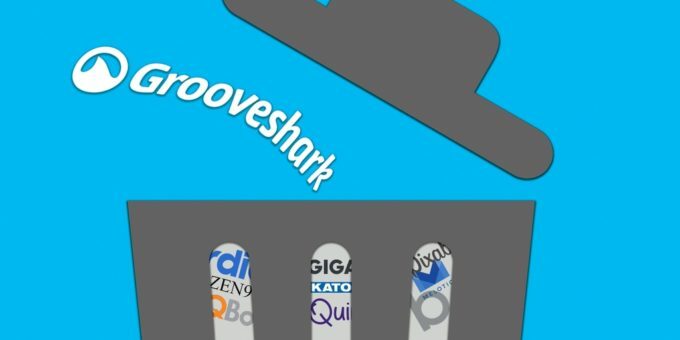 Grooveshark boldly decided to let people stream any music they wanted, on demand, entirely for free. It’s a business model that none of the other streaming services found tenable, but Grooveshark went forward with, and netted $6 million in funding for its efforts. That wasn’t quite enough to cover how money money record companies wanted from Grooveshark for all the money it was costing them. $6 million left the startup about $16.94 billion short of what they were sued for. The math didn’t quite work out, so Grooveshark opted to take one last bow and close the curtainsthough they snuck in a brief encore before it was all said and done. Better should have worked better. It had $5 million of backing from the Mayo Clinic and was founded by one of the pioneers of telehealth services. The service was designed to help people navigate the complexities of the healthcare system, pointing them in the right direction on everything from insurance questions to providing basic wellness information. There weren’t enough people willing to pay the monthly fee for Better’s PersonalHealth Assistants, and there weren’t enough investors willing to feed money into the company, so Better flatlined. Possibly the Silicon Valleyest startup of all time, Leap Transit operated under the brazen ideal that public transportation could be made exclusive and unaffordable. For $6 a pop, you could take a ride on a suped-up bus with Wi-Fi and USB ports. It’s not as if the bus system isn’t in need of improvements, but Leap decided the way to disrupt the business was by making it prohibitively expensive. That’s the opposite of what you’re supposed to do it. Leap leapt straight to its death, and only the tech bros wept. « The Sitcom Slaughter Continues! NBC Cancels Eva Longoria’s Telenovela & Undateable!